From today I’m allowed to share close ups and comparison shots of one colour per day from CND’s next new colour collection!! This whole collection is all about glitter. Each one of the colours is heavily glittery. Think Butterfly Queen or Glacial Mist. I can’t wait! Today’s colour is Alluring Amethyst. 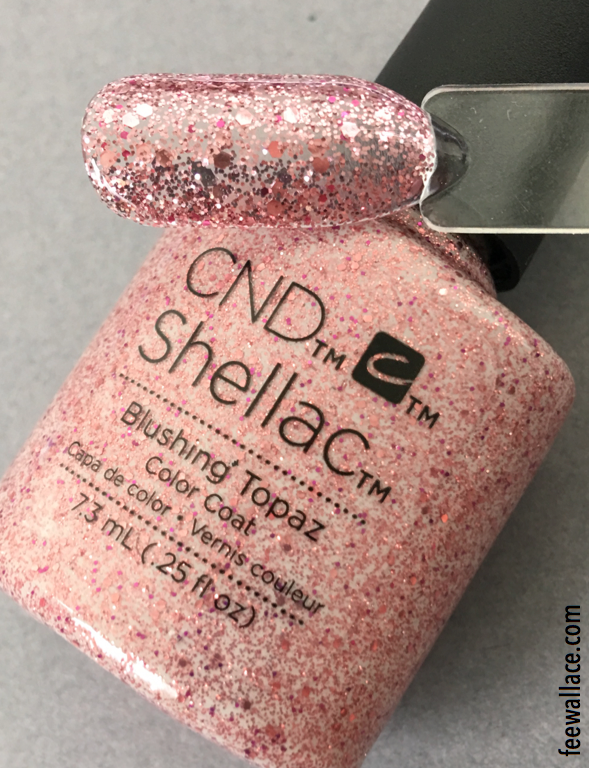 This SHELLAC™ shade is utterly stunning and of course the pictures don’t even do it justice. Effortlessly opaque in two layers, and the finish is smooth a silk with one thin XPRESS5™ Top Coat. It’s no secret that green is my colour. The amazingly decadent Emerald Lights is blowing my mind! It’s a stone cold stunner. Again, on the clear pop this is two coats of Shellac and one XPRESS5 Top Coat, but I discovered that one thin layer alone is opaque. Can’t wait to use it for de-bossing/carving. Unlike Alluring Amethyst, all the glitter particles in Emerald Lights are the same size, colour and shape. 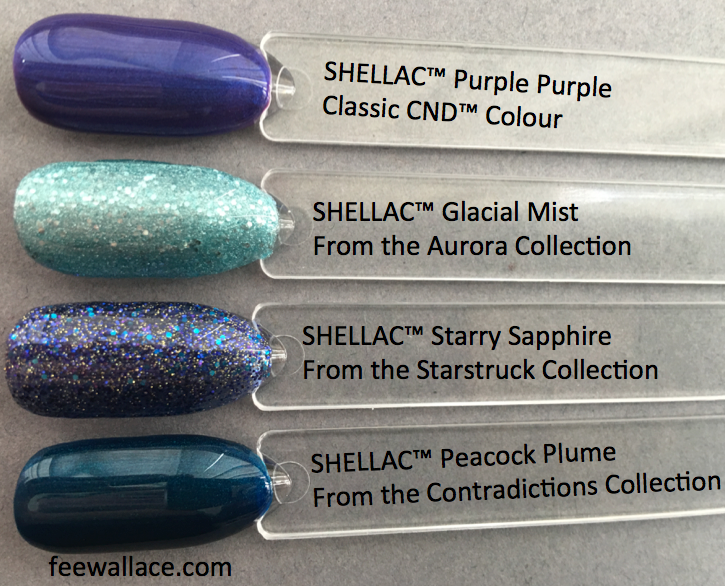 I’m delighted that this glitter Shellac Collection contains colours with different textures and styles of glitter. Today we reveal Garnet Glamour, and oh my goddess is it fabulous! In the same glitter style as Emerald Lights and Butterfly Queen, Garnet Glamour’s glitter particles are consistent in colour and shape. I predict this is going to be the most worn colour by our Shellac clients this winter. It’s going to look gorgeous on everyone. Again, the colours below in the comparison shot are all 2 layers of Shellac Colour finished with one layer of XPRESS5™ Top Coat. (Poison Plum, as I always do, was applied a little more generously than we normally apply Shellac Colour). Couldn’t help but have a play with the first 3 Starstruck colours enhanced with a bit of Lecenté Foil and some stamping using the Yours Loves Fee Mindful Mandala Stamping Plate and a few CND™ Creative Play Colours. Let’s take a look at Dark Diamonds. It’s simple. Gloss black with silver glitter particles in 2 – 3 sizes. Gorgeous, sparkly, super opaque. It’s going to be a sure hit! Dark Diamonds is also available in Vinylux™ outside of the US. In comparison, I chose to put it along side Black Pool Shellac™ and the Creative Play™ Colour Nocturne It Up. This shade really speaks for it’s self. Now THIS is my very favourite! Starry Sapphire immediately transports me to the glamour of Antient Egypt, but nostalgically depicted by a 40s Hollywood star at a costume party, who came as Cliopatra. There are several glitter particles in different colours and shapes, all encased in a rich sapphire gloss. Here she is, it’s Blushing Topaz!! The final colour to reveal from this collection, and what a beauty she is. The multiple glitter sizes, shapes and colours are encased in a clear gloss base. 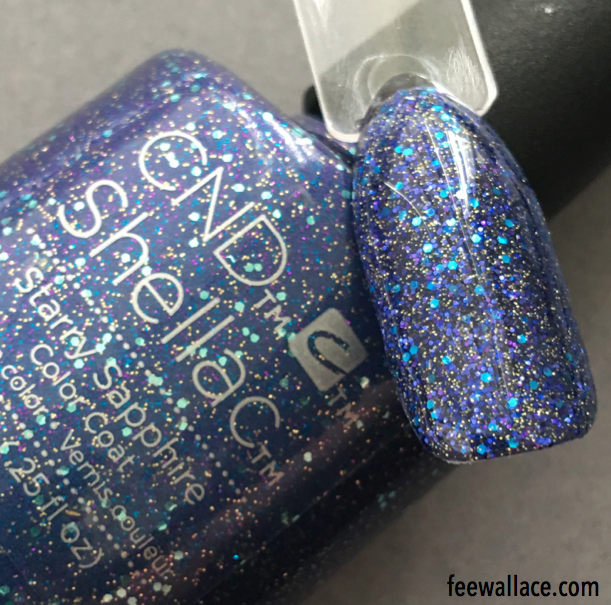 This is the only colour from the Starstuck Collection like this (where the base Shellac is not its self pigmented). 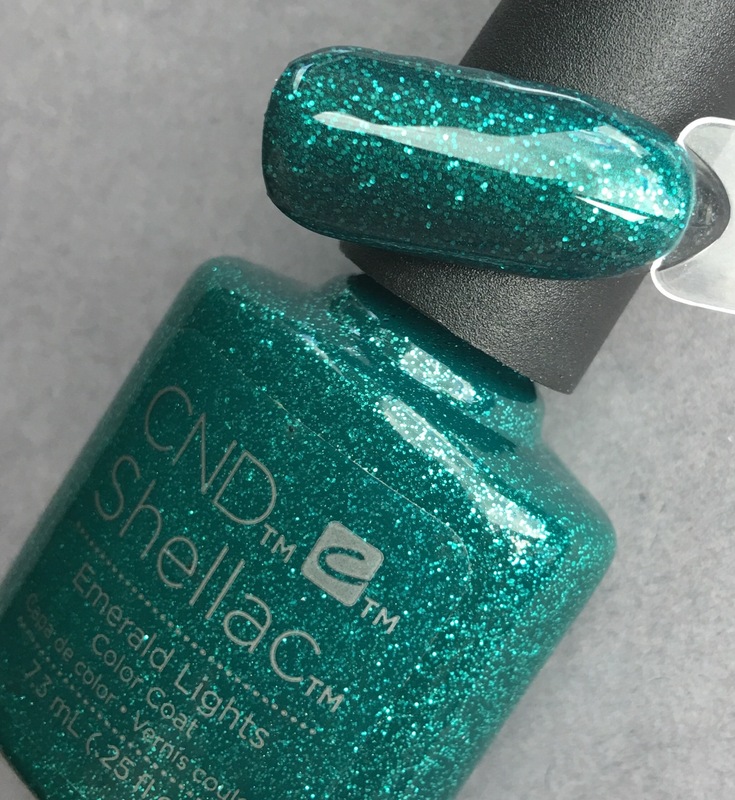 Even still, as you can see, two layers still give very opaque coverage, but we also have the option to change the look dramatically by layering over different Shellac colours. Thanks so much for checking out the blog! 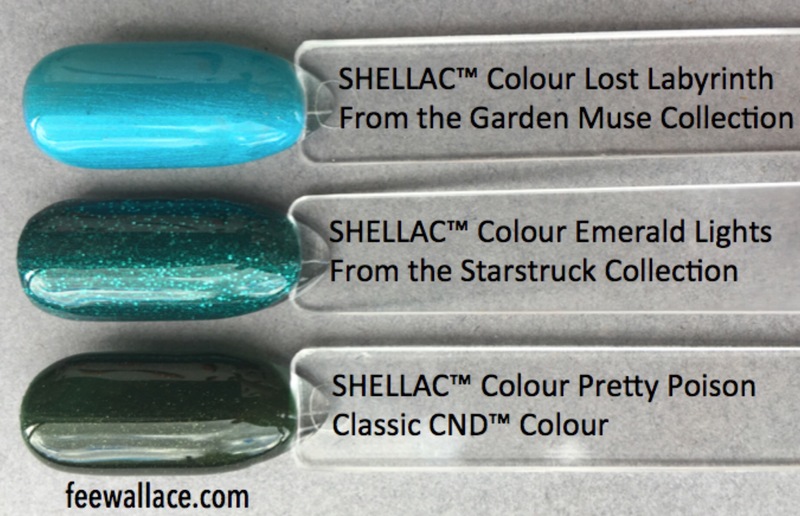 I hope you enjoy the CND Starstuck Collection come September!